Summer Camp 2015 is here! SESSIONS ARE CLOSED FOR TEEN BROADWAY BOOT CAMP and PLAYFEST! PRIVATE AUDITION COACHING, ACTING TECHNIQUE for STAGE, ON-CAMERA, and MUSICAL THEATRE available. FALL REGISTRATION BEGINS JULY 1. Stay tuned for 2015-2016 workshops. Our Students are taking stages and screens by storm! 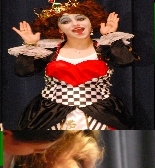 Appearing in: National Tours of Annie, Joseph and the Amazing Technicolor Dreamcoat, The Sound of Music, Drop Dead Diva, Vampire Dairies, Cartoon Network's Fridays, and on stages at the Alliance Theatre, Horizons Theatre, Seven Stages, Fox Theatre, Georgia Ensemble Theatre, Center Theatre, Actor's Express, and GA Shakespeare Festival. 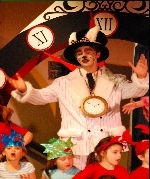 Our students have been accepted into the following top ranked Theatre programs: Juilliard, Tisch School of the Arts, Yale University , Cal Arts, USC, North Carolina School for the Arts, Northwestern, Carnegie Mellon, SMU's Meadows School for the Arts, Boston University, Rutgers, UC-San Diego, Blair School of Music at Vanderbilt, and the Eastman School of Music. 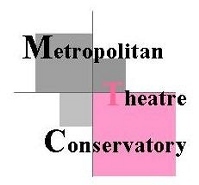 The Metropolitan Conservatory sets the standard of Excellence for Arts Education, Programming, and Performance. HOME OF THE ORIGINAL BROADWAY BOUND CAMP and PROGRAMS!